1. Climate change is real. The climate has never been static. 2. Humans can and likely do influence the climate and the biosphere in general. The degree is mostly unknown. 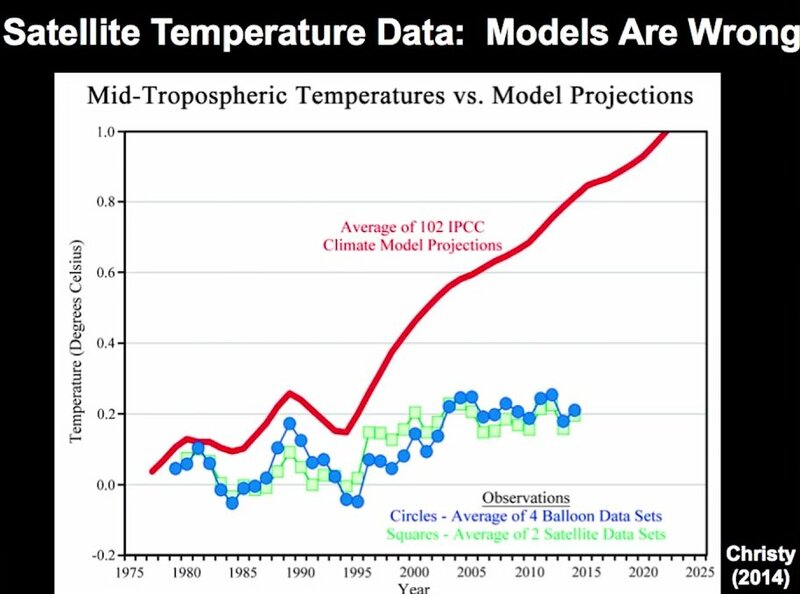 Computer models don't constitute scientific proof and so far fail to predict future events and shouldn't be used in such a manner. 3. The claims of negative impact is mostly overblown. Pollution is a pressing problem in particular India, China, Brazil, etc. In America there has been a massive reduction in actual pollution. We are also reducing CO2 output. Human welfare must trump the emotional view of "pristine" nature. 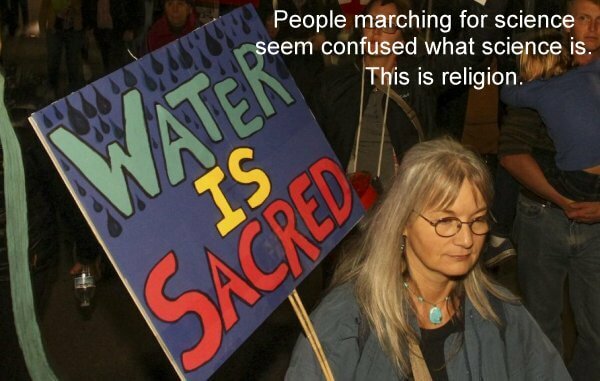 Nature is not sacred - that is religion. I only view this through science. The anti-human views of some are not acceptable. I go by data not feelings. While we should reduce pollution and resource waste, many pushing this issue see it was a power grab. Few are willing to learn real science. 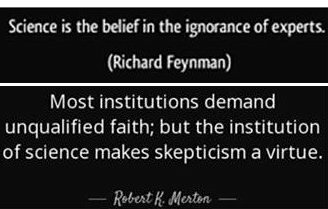 The goal is the application of reason backed by empirical proof to solve problems without spirituality, religion, or feelings. I don't discount these three, but they have zero use in applied science. If there is any issue more irrational and hysterical it is climate change. Climate change is real and ongoing for millions of years. Climate does shift abruptly for mostly unknown reasons. This is a political and social movement, not scientific. Many on the far left with this "Green New Deal" we hear about in the news is about wealth redistribution and ending capitalism. Studies are conducted to find human causes and ignore natural causes. What are reported as scary numbers are actually very small compared to the overall geological and historical records. The belief nature is sacred or any form of spiritual views are religion. This has no place in public policy. The plate above illustrates how computer models (virtual climate models) have greatly deviated from real world measurements. The drop from 1990-95 was due to volcanism. I'll address that and more below. Between 9000 and 6000 years ago a hypisthermal (high heat) interval allowed dwarf birch shrubs to replace tundra in some areas. "Temperatures have fluctuated since then." Stanley P508-9. Over the last 3500 years there have been 4 cold periods and 4 warm periods. During the last cold period (Little Ice Age 1500-1850) many mountain glaciers expanded. They are melting today and they should be. Stanley P510 fig. 20-12. Severe droughts have occurred during the present Holocene Epoch we live in today. This is particularly true of the American Southwest. Tree ring studies from the Western slopes of the Sierra Nevada "indicate that during the past 1000 years California has seldom received as much precipitation as it does today." Carbon dating of tree stumps exposed at Mono Lake showed this was dry land between 1112 and 1350 AD. Fears are that California and the Great Plains may return to their historical desert conditions from 800 to 1300 AD. Stanley P511. Update: In 2018-19 California has plenty of rain. Sea levels have also risen quickly due to unknown reasons. Between 8500 and 7600 shallow water reefs formed along Florida and the Caribbean coasts. They suddenly died out when sea level rose in 7600. They are 30-90 meters below sea level today. River valleys such as Chesapeake, Delaware, and Mobile were also flooded. Stanley P512. At the same time some coastlines are rising and other subsiding due to natural geological forces. The Gulf Coast from Texas to Mississippi are subsiding or sinking. So are the coasts from Maryland to Maine at the rate of 5-10 millimeters per year. Stanley P513. Dr. Stanley goes into humans and climate change because others claim it is true. But his own text proves how much to attribute to humans can't be proven. He notes the reduction of ice on Mt. Kilimanjaro, but failed to note the expansion of that ice in the prior centuries earlier in his own textbook. From page 514 onward should have been left out of the book. He is walking a fine line on this issue. He is trying to disprove the first two-thirds of Chapter 20 that prove present climate events are no different than earlier Holocene climate events. Now we are in the realm of speculation, not earth system history. At page 519 Dr. Stanley asks, "Have climate changes been gradual during the Holocene time?" His answer is NO. Thus gradual climate change has NEVER been part of the natural world even without humans. Ref. Earth System History by Dr. Steven M. Stanley 2009. 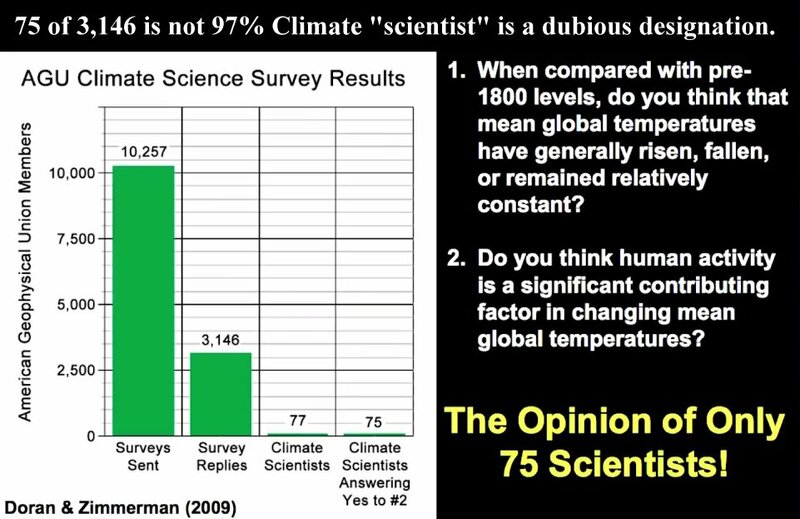 The claim of 97% consensus is false. Surveys were sent to 10,257 members of the American Geophysical Union. 3,146 responded, but only 77 were cherry picked with the title "climate scientist". 75 answered yes to humans caused climate change. No, 75 out of 3,146 is 2.4%. See graphic The 97% is only 75 people. Population has grown from 1.5 to 7 billion. The Pliocene (~3 MYA) was 5.4 deg. F warmer. 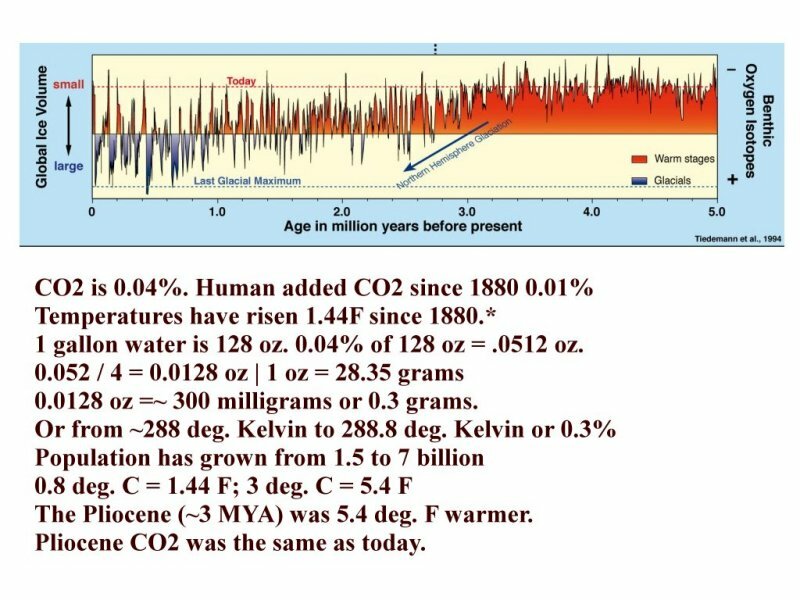 Pliocene CO2 was the same as today. There is no direct connection to that level of warming and CO2. 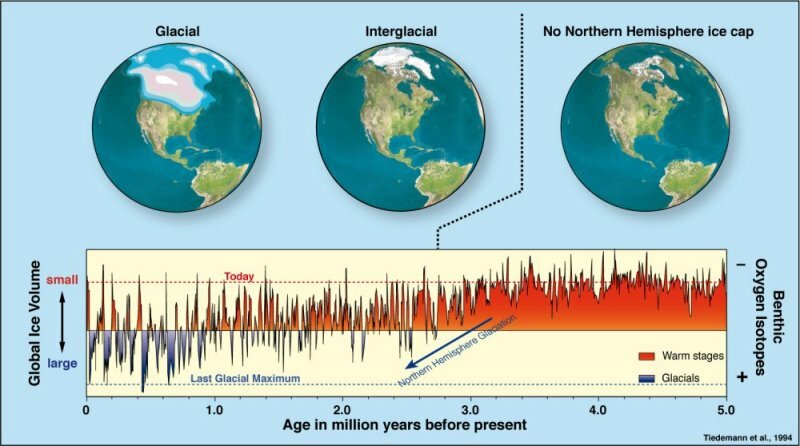 See the graphic Ice Core Data Last 5 Million Years. Just how much carbon dioxide is in the atmosphere? How much did humans and all sources add over the last 140 years? Temperatures have risen 1.44 deg. Fahrenheit to 1.6 deg. Fahrenheit since 1880. But temperatures have fallen about 1 deg. since 2016 due to a lull in solar activity. See the graphic Make Global Warming Great Again. If the atmosphere weighed the same as 1 gallon water or 128 oz., then 0.04% of 128 oz = .0512 oz. Humans and all sources since 1880 have added only one-fourth o 0.0512 oz. / 4 or 0.0128 oz. That is about ~ 300 milligrams or 0.3 grams. The Arctic froze over for the first time 2.6 million years ago. Prior to that normal global climate was far warmer than today. See graphic Ice Cores Reveal Climate Today is too cold today. The claims of the oceans becoming acid are false. The pH of the oceans varies around 8.2 and is basic far from acid. A 7 is neutral and below 7 is acid. 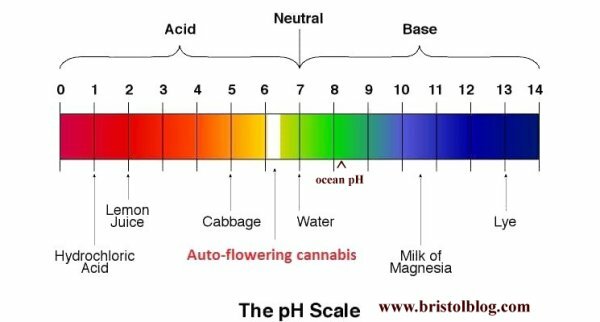 See the graphic pH Scale. The idea any change in the ocean is a death sentence is utter nonsense. See Bikini Atoll Recovery. 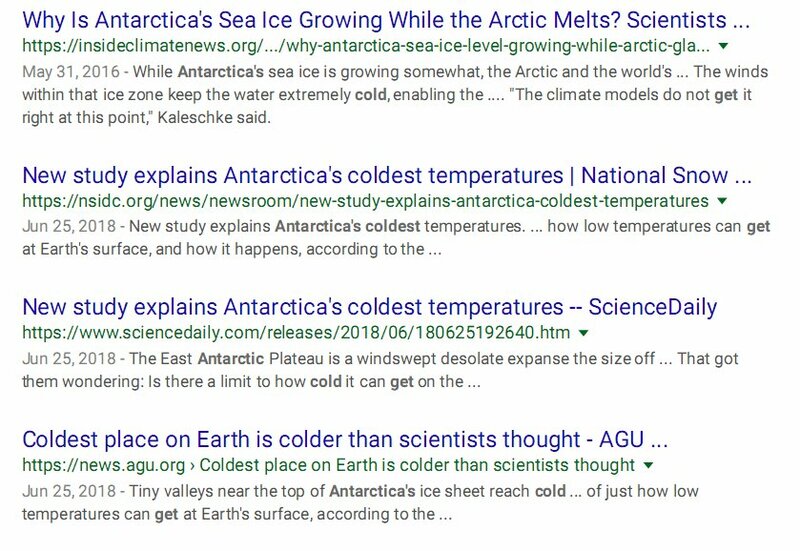 There is a lot of hysteria over Arctic sea ice melt. The record only goes back to 1979. Melting began before 1850 when the Little Ice Age ended. 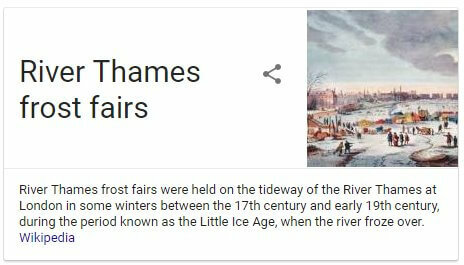 Before that the Thames River in London froze over. That has not happened in 150 years. The Antarctic has seen record cold. See graphic Antarctica Record Cold Ice. 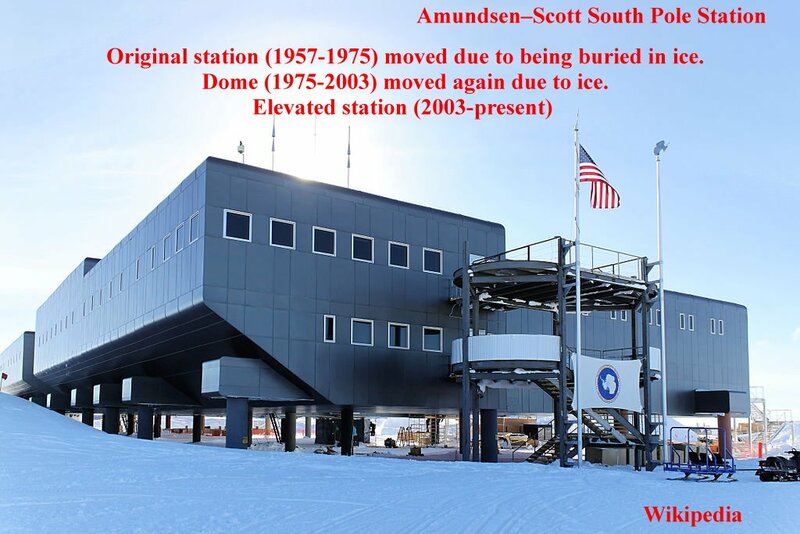 The problem is so severe the American Antarctic station Amundsen Scott has been moved twice since 1957 due to being buried in ice. They even built the newest station on stilts so it can be elevated over more ice. See the graphic Antarctica Amundsen Scott Station. 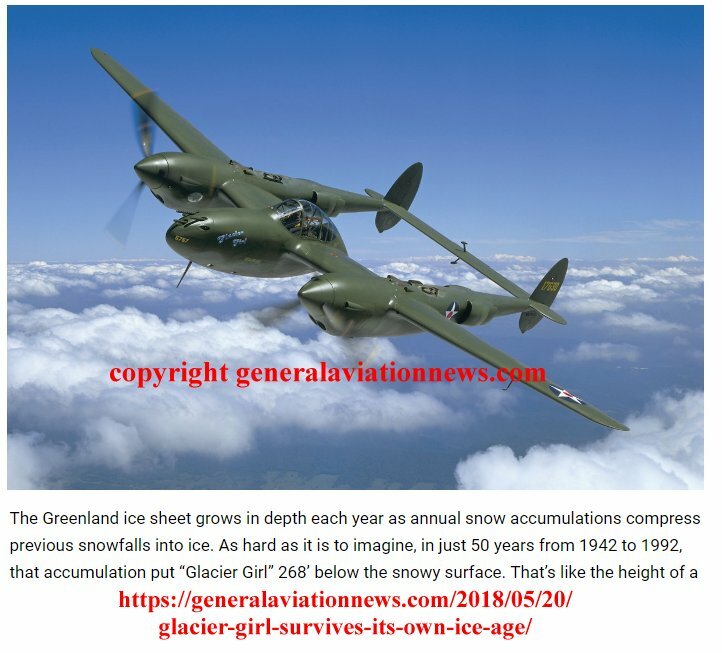 In 1942 six American P38F fighters and 2 B17s were ditched on a glacier in Greenland. Glacier Girl one of the P38s was recovered in 1992 and restored to flying condition. In 50 years the planes were buried under 268 feet of new snow and ice. See graphic Glacier Girl. Note that with a warming climate glaciers and ice can expand like they are in Greenland and Antarctica. This is due to more moisture falling as snow. Stanley As ice sheet shrank in North America ice continued to accumulate in Greenland. The last continental glaciers outside Greenland in the Northern Hemisphere melted around 4000 B.C. Stanley P500-01. Sudden warming of 7 degrees Celsius in Greenland occurred 11,680 years ago in a span of just three years. That finally ended the Younger-Dryas ice age triggered by a a comet explosion event 12,900 years ago. The cause of this warming event is unknown. Dr. Stanley notes (P501) that "knowledge of the instability of the natural systems" we have to be aware of human activities and greenhouse gasses. While this is true that make makes determining what are human causes versus natural instability nearly impossible. For example even 1000 years ago Greenland supported crops, trees, and people when it was warmer. It hasn't supported any of that since about 1400. Global temperatures dropped from the 1930s to 1980 due to pollution. This led to the global cooling scares of the 1970s. Sunlight became dimmer as pollution (sulfur-nitrogen oxides, soot, etc.) reflected and scattered sunlight. With the EPA, etc. we cleaned up most real pollution and sunlight got brighter, raising temperatures to more normal since 1980. We have achieved great success. China, India, etc. are bad and getting worse. 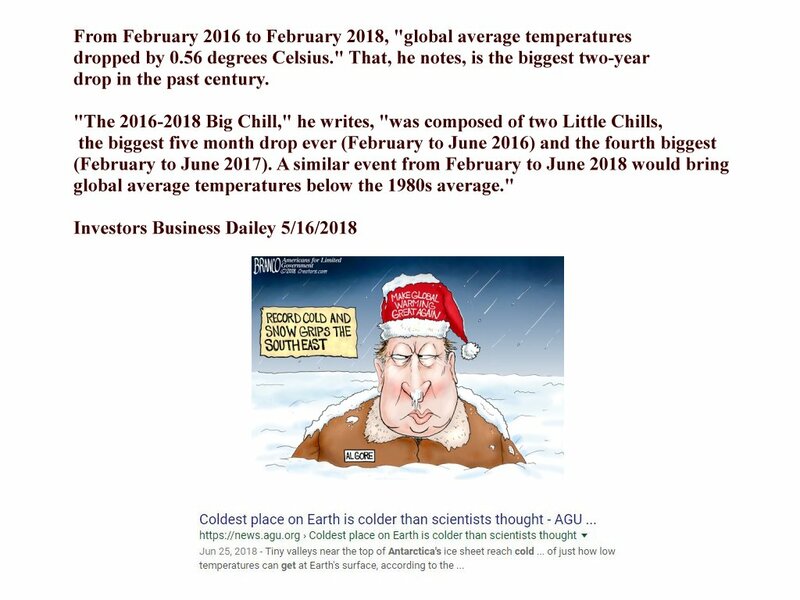 They claim "During 2017, the average global temperatures...was 1.51 degrees Fahrenheit ( 0.8 degrees Celsius) above the twentieth century average." That claim was factually correct, but stands as an example how to lie. They failed to mention the 0.56 degree Celsius drop in 2017-18. Several issues come into play here. Temperature data before the 1970s was reduced by computer model simulations. They were filling in the gaps. 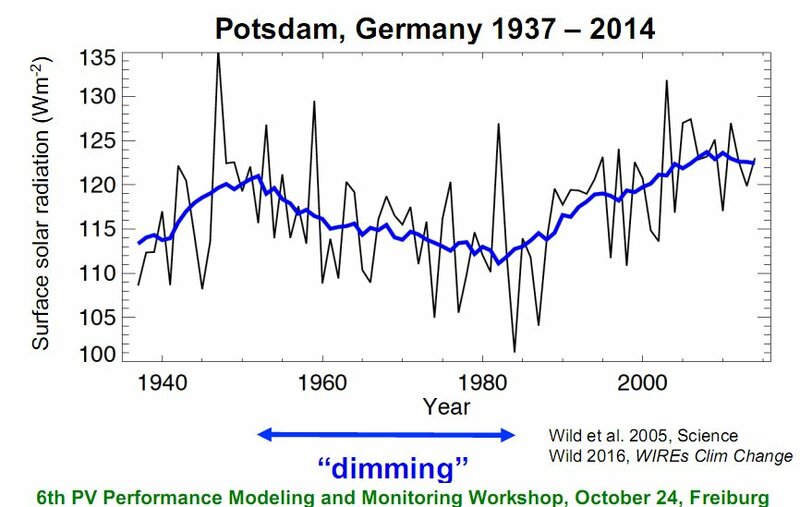 Due to likely pollution London observed a dip in temperatures and Potsdam showed a drop in brightness from the sun. Pollution controls after 1980 mitigated that. 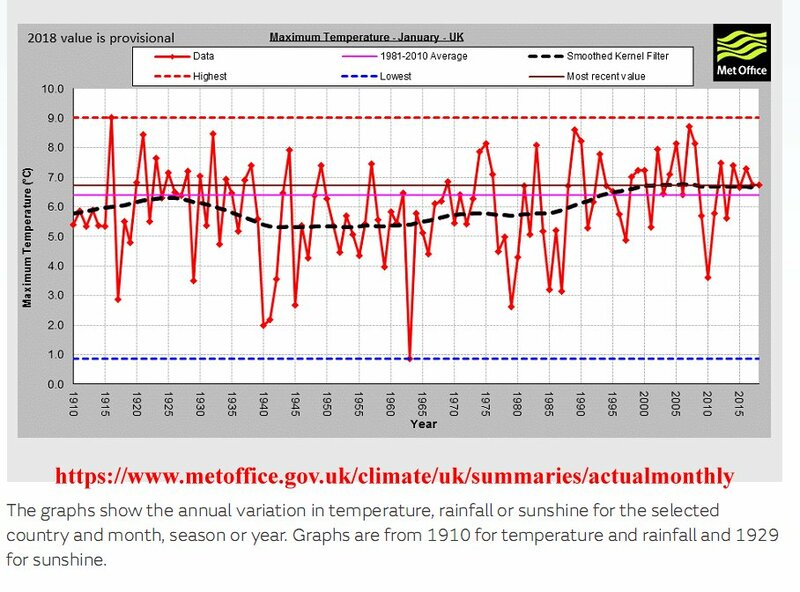 See the following two graphics: Maximum Temperatures in January in the UK and Solar Dimming Potsdam, Germany 1937-2014. 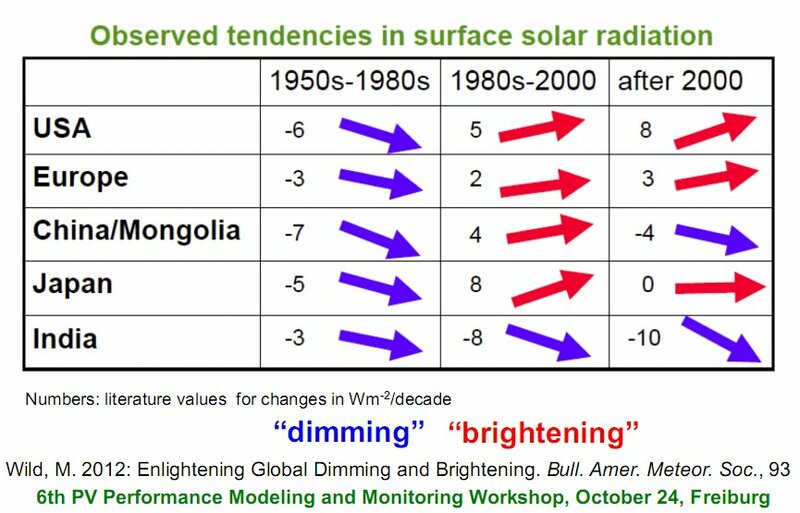 The graphic above shows dimming was reversed as pollution was eliminated in the West. Where it wasn't cleaned up it got worse. 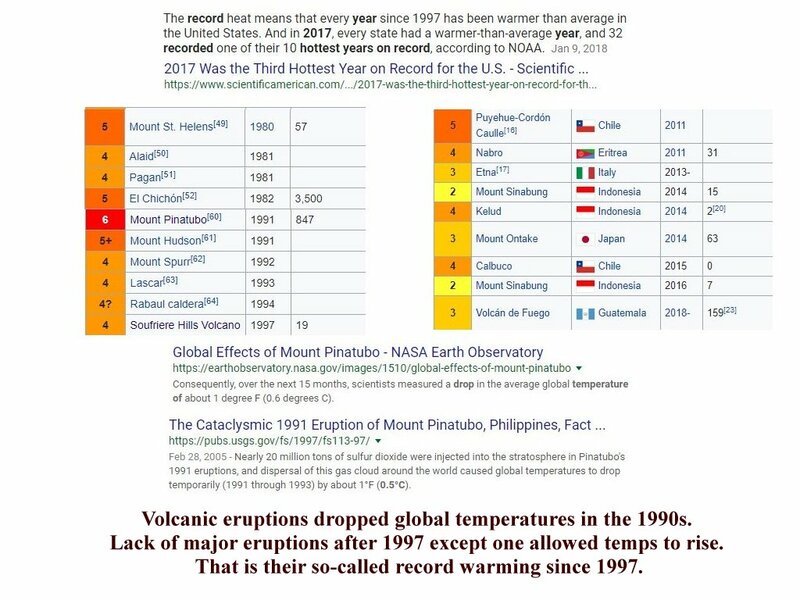 A second issue was a number of large volcanic eruptions in the 1990s dropped global temperatures by 1 degree Fahrenheit. This was a particular problem with Mt. Pinatubo in 1991. Few large eruptions occurred after 1997. When the ash and sulfur aerosols cleared by 1997 temperatures should have went back up. See graphic Volcanic Eruptions Disrupt Global Temperatures. That is part of the dip and recovery from 1990 to 2000 in the graphic at the top of the page. The computer models failed to calculate in volcanism and pollution. The graphic above illustrates the 11-year solar sunspot cycle. This has a direct effect on short term global temperatures, in particular averages. Notice the drop in 1970 that contributed to the climate cooling scare. The late 1980s cycle's effect was blunted by volcanic eruptions. By 1997 when the eruption trash and more pollution was cleared a new 11-year uptick in solar radiation began. 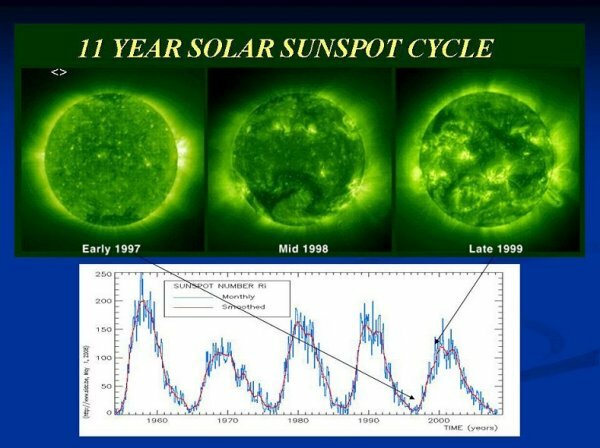 Comparing a short span of 16 years during two peak sunspot cycles against an entire century average, much of the data altered by computer models, is simply dishonest. Natural factors explain everything I have presented and the graphic at the top of the page is correct. I stand by it. Humans had nothing to do with volcanoes or sunspot activity. We did and should continue to address actual pollution. We must not allow the issue to be further hijacked to promote political agendas. Despite recent attempts to paint the United States as a major global polluter, according to the World Health Organization (WHO), the U.S. is among the cleanest nations on the planet. In the most recent WHO report on air pollution, the United States was listed as one of the countries with the cleanest air in the world, significantly cleaner in fact than the air in Germany, Italy, Switzerland, the UK, Japan, Austria and France. While France and other G7 countries lamented the U.S. exit from the Paris climate accord, America’s air is already cleaner than that of any other country in the G7, except Canada with its scant population. Following standard practice, the WHO measures air pollution by the mean annual concentration of fine suspended particles of less than 2.5 microns in diameter. These are the particles that cause diseases of all sorts and are responsible for most deaths by air pollution. According to the WHO, exposure to particulate matter increases the risk of acute lower respiratory infection, chronic obstructive pulmonary disease, heart disease, stroke and lung cancer. ...The problem with this ploy is that carbon dioxide is not a pollutant and it is dishonest to say it is. CO2 is colorless, odorless and completely non-toxic. Plants depend on it to live and grow, and human beings draw some into their lungs with every breath they take to no ill effect whatsoever. "From a quarter to half of Earth’s vegetated lands has shown significant greening over the last 35 years largely due to rising levels of atmospheric carbon dioxide...leaf area index, or amount of leaf cover, over the planet's vegetated regions. The greening represents an increase in leaves on plants and trees equivalent in area to two times the continental United States."